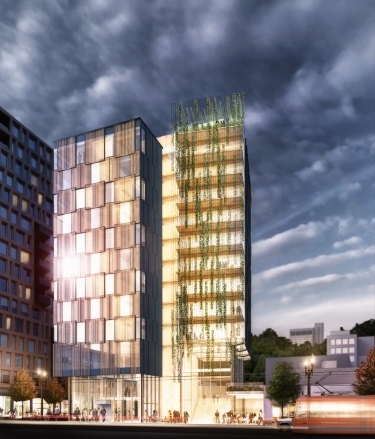 Advocates for CLT in tall buildings say the benefits are a lighter carbon footprint compared with concrete or steel construction and better seismic performance due to smaller foundation loads. 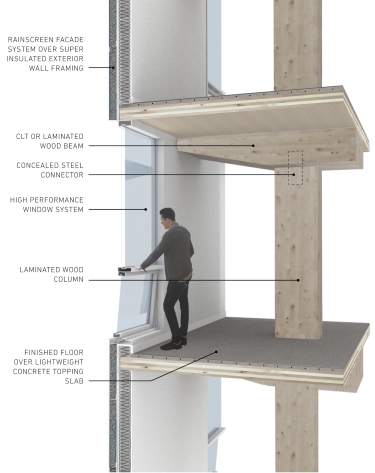 Here’s how Framework’s floors might be built. Backers of Framework have a $1.5 million federal grant to study the building’s structural systems and help develop regulations for CLT.